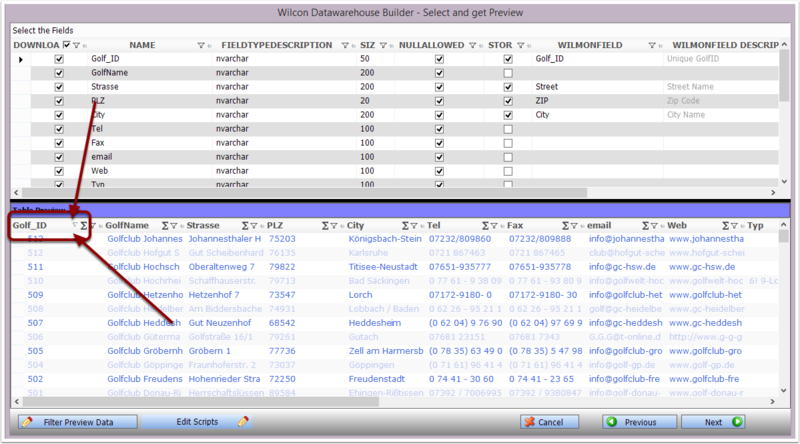 Wilcon DWH Builder allows you to filter the preview data very easily. 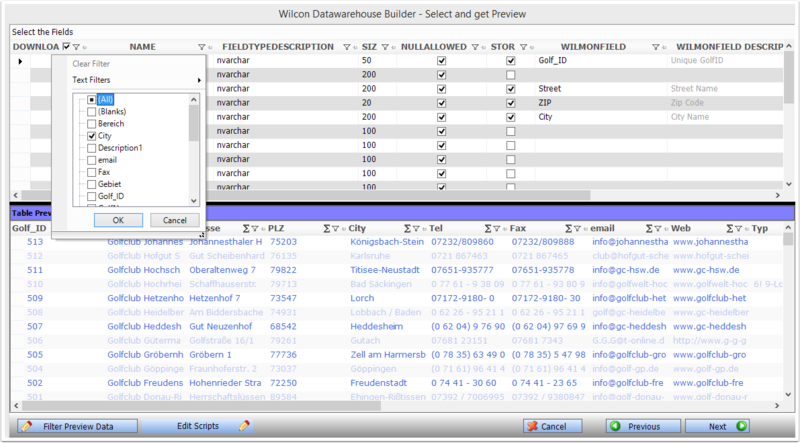 After selecting a Data Source Wilcon DWH Builder will show the first 100 rows of the Data Source. 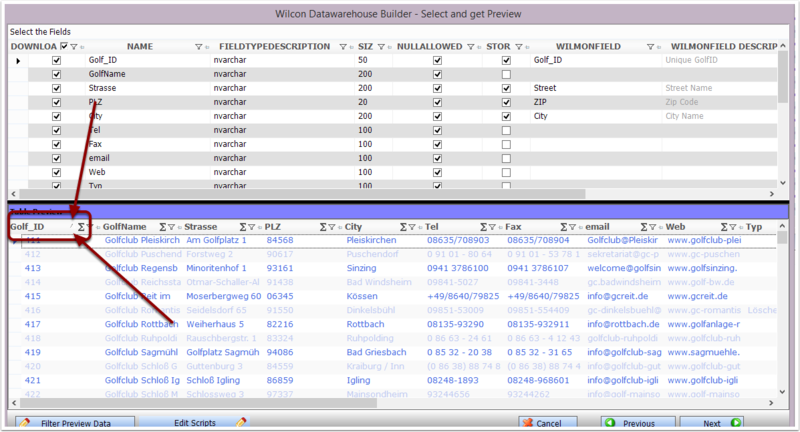 You can do several operations to analyze this data. 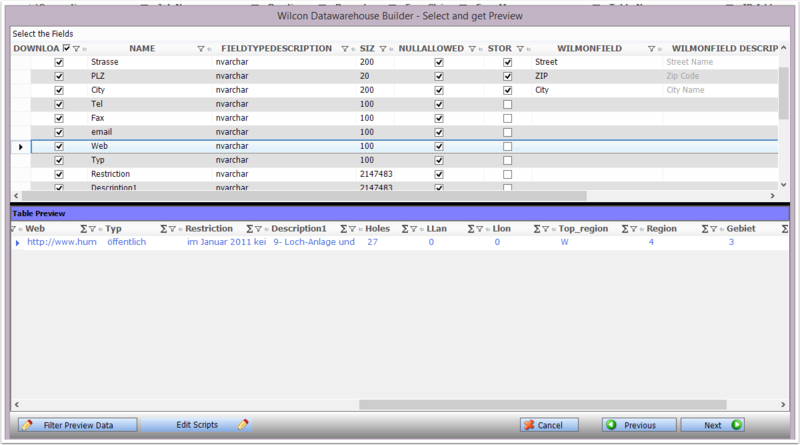 by clicking on the Header Column you tell Wilcon DWH builder to sort the data. 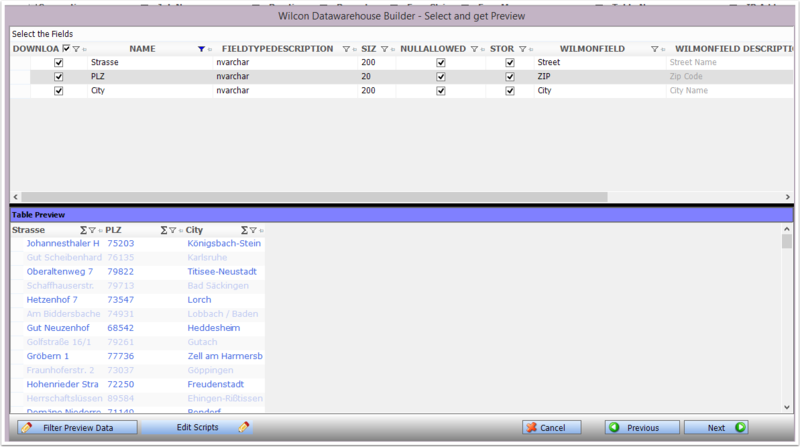 If you click on it again it will be sorted descending. 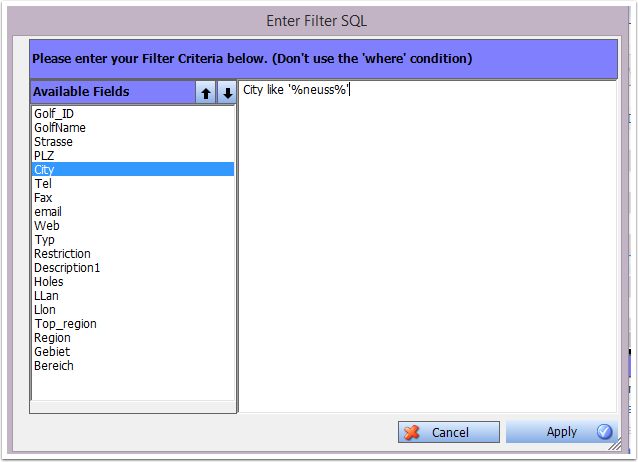 First Click on the Button at the bottom left.